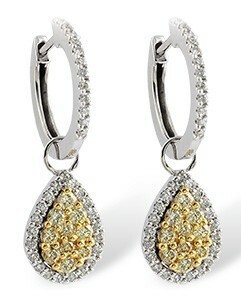 These fun and fancy two tone 14kt gold earrings are set with .89 ctw in white and yellow diamonds. Yellow Diamonds = 0.44 CT TW. White Diamonds = 0.45 CT TW.